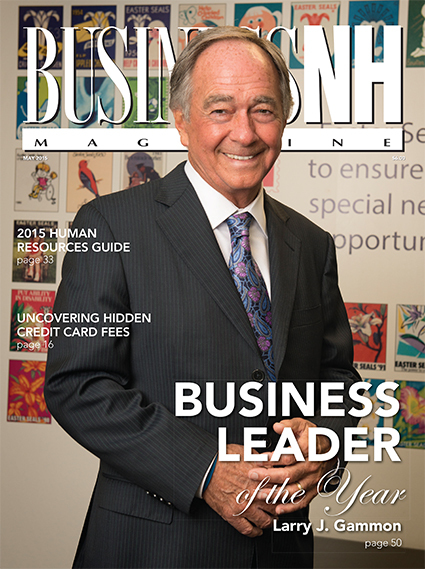 Business NH Magazine announces the eight top businesses of the year and the single business leader of the year! Hidden Credit Card Fees – Our writer takes a look at gateway fees, batch fees, AVS fees and other fees sucking away your profits. Small Claims, Big Volume – We venture into NH's small claims court. Judge Judy this is not. Rising Costs of Cyber Stick Ups – Cyber hackers are replacing masked bank robbers and the stakes are higher. NH's Cannabusiness – It's now legal to sell medical marijuana here, but setting up shop is complicated. Think Tank – Would consolidation fix NH's educational system? 2015 Human Resources Guide – The high tech side of HR, using big data and metrics to increase productivity, managing online reviews and redefining the independent contractor. Plus the latest NH HR legislation.